I homeschooled my kids from kindergarten through high school, and this fall my daughter, our first born, heads off to college. I guess you could say I have a bit of experience when it comes to homeschooling kids. However, I do remember what it was like when we first started. 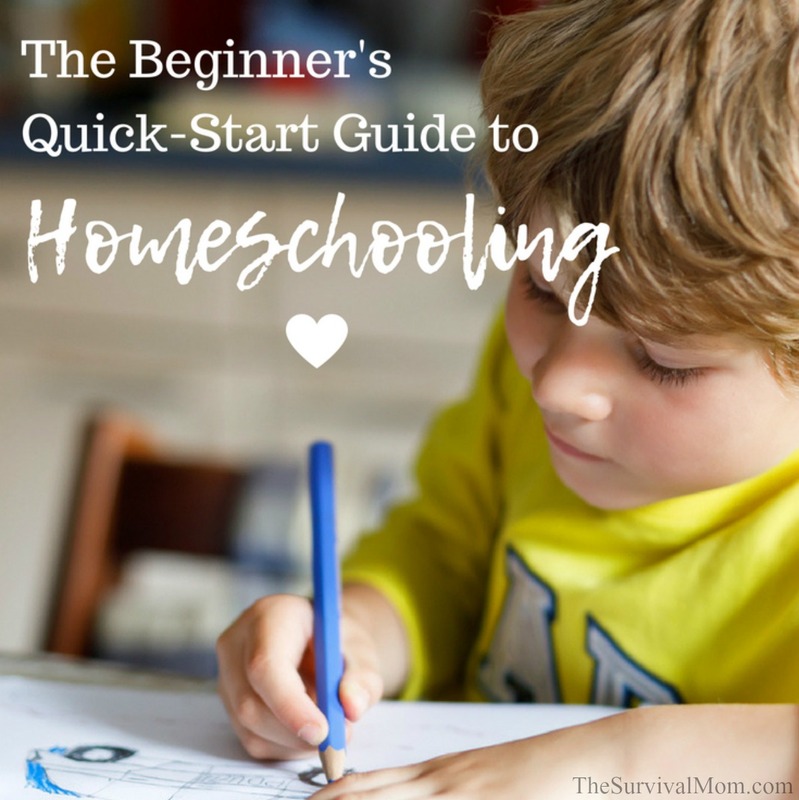 How to start homeschooling was a topic my husband and I discussed for hours. I had only ever known “education” in a classroom setting. I had attended public school from kindergarten through high school and then sat in traditional classrooms as a college student. Desks in rows, textbooks, workbooks, assignments, pop quizzes, tests — was there any other way for kids to learn? As it turns out, kids actually learn quite well far from the traditional classroom. If you’ve considered homeschooling or maybe you just recently made the big decision, it’s going to be an exciting journey but there’s quite a bit to learn. Here are some basics to learn how to start homeschooling. As far as I know, I am the only homeschooler among my siblings, cousins, and second cousins. I don’t know anyone on my side of the family who homeschools. At first, my family was skeptical. One sister pleaded with me to put my daughter in public school. Fortunately, neither my husband nor I were swayed by their opinions, but it doesn’t help to have a few facts in your arsenal should you encounter opposition from friends or family. Class size is only as big as the number of siblings you’ll be homeschooling. Each child will get more one on one attention from their teacher and you’ll know immediately when one of them is struggling with a concept or is frustrated by the slow pace and needs to move more quickly through their curriculum. The teacher is someone who knows or will quickly learn, how each child learns best and has their best interest in mind. When I was a classroom teacher, I deeply cared about my students, but I can assure you, that pales in comparison to the love I have for my kids and how well I know their strengths, weaknesses, character strengths, and what motivates them. Teachers do their best, but nothing compares with a homeschooling parent. Homeschooling has the potential to be more fun and engaging than a public school setting. Homeschooling allows for deeper relationships to develop between siblings and between parents and child. Each child isn’t on their own separate paths due to school hours and school-related clubs and sports. Due to the flexible hours, there’s more time for field trips, sports, clubs, volunteer work, church involvement, and much more. One huge benefit is being able to travel and vacation during the school year when crowds at popular destinations are far fewer. When a child shows a particular interest or talent, there’s plenty of time to dig deeper in the subject area and more hours to train. 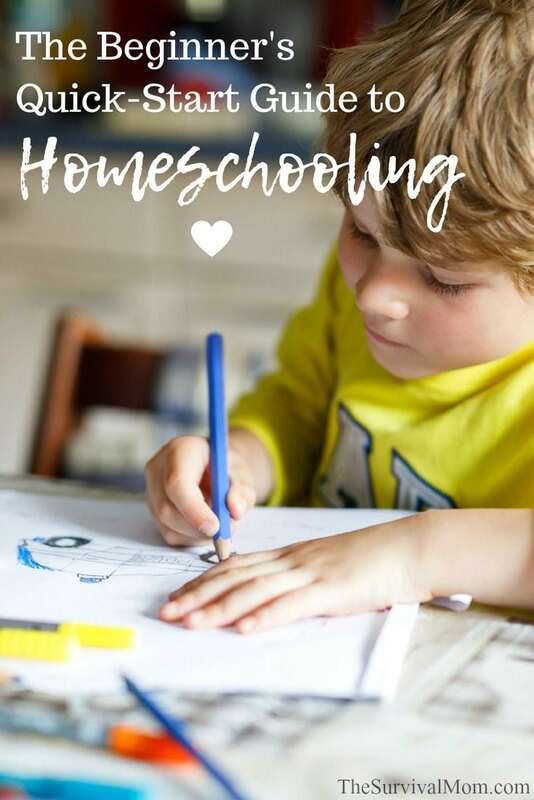 Now that you’re clear on the many benefits of homeschooling, one of the hardest parts of homeschooling is knowing how to get started. Homeschool laws vary from country to country and, in the United States, from state to state. To homeschool, you need to know what the local law requires of you and your child. Some states require a certain number of college credits from the parent(s) who will be teaching them. Others only require a high school diploma. Most will require that you go to your school district and declare your intent to homeschool, a curriculum and yearly testing of your child, and some states have virtually no requirements at all. To find out how your state compares and what regulations they might have, go here. I highly recommend joining a homeschool legal defense organization. School districts and municipalities have been known to go rogue, so to speak, and make demands of homeschooling families that are not required by law. Occasionally, a homeschool family has been reported to “authorities” for any number of reasons. In these cases, families need a legal recourse for advice, support, and representation. Homeschool Legal Defense Association is the largest such organization. It is Christian but is open to all homeschooling families. For Texas residents, Texas Homeschool Coalition provides similar support. An internet search for your home state will likely provide you with similar organizations. Homeschooling is worth every minute and bit of effort for both you and your child. It does, however, take patience from both of you. It’s important to know that there are no two families who homeschool in exactly the same way. When I first began homeschooling, I wanted someone to tell me exactly. how. to. do. it. What I discovered is that my new homeschooling friends all had their own sets of unique circumstances. Some parents set up an actual classroom in the home, many homeschooled kids work at the kitchen table or sprawled out on the couch. Parents who work late hours prefer that their kids do some schooling in the evening or into the night, so they will be there to help, and then there are the early bird homeschoolers who are up at dawn, working furiously on their schoolwork, so they can play all afternoon! have some type of organized schedule for schoolwork, activities, playdates, etc. set aside time to create and go over lesson plans or use ready-made plans that come with many types of curricula and on websites. set measurable goals for your child’s progress. set a school schedule. It can be flexible, but the time for education should be clearly marked out. schedule school hours to allow kids to spend time with the working parents. In cases where the dad works late hours, some families stay up late at night and start their school day around lunchtime. Bottom line, there is no one best way to homeschool. As you consider how to start homeschooling, know there’s a lot of freedom and room to grow. Homeschooling will also have a cost, but it doesn’t need to be expensive. You will need basic school supplies and materials for everyday class, such as pencils and paper or a dry erase set. You will need art supplies if you plan to teach your children about art. If you plan to take your children on field trips or sign them up for extracurricular lessons, you’ll need to have money set aside for that. There are plenty of free materials available online, though. Khan Academy offers online, video lessons beginning with kindergarten through high school. Note that Khan Academy is aligned with Common Core, which you may or may not want. Ambleside Online is an excellent free curriculum that only requires you to obtain the books used in reading assignments, and many of those are either free or extremely inexpensive. You can read about my family’s curriculum choice here. No one knows how your child learns better than you. As a homeschooling parent/teacher you will be able to cater to your child’s learning style. If your child has more of hands-on learning style, you can teach geometry by digging a hole in your backyard to certain specifications. If they are having trouble with their fractions you can have a cooking class and let them work the measuring cups while explaining their size relation to each other. Keeping your child’s learning style in mind can help you plan a creative curriculum around them, one that suits them best and will provide real, successful learning. Homeschool curriculum used to very expensive, even when buying your books used. With the joy that is the internet that is no longer true. In fact, many curricula can be found online for free. Some are religious and others are not. Some even have a list of materials you will need to buy as well as downloadable material. Here are a few of my favorites. 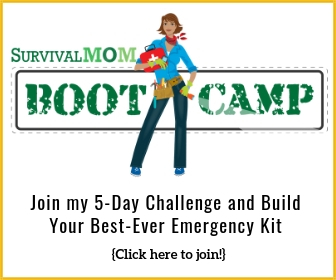 Ambleside Online — Used by The Survival Mom. In addition to the full curriculum you can find online, there are also plenty of extras that you can find and integrate into your lesson plans. For example, you may have chosen a curriculum with a great focus on core classes, but nothing on the subjects of art or music. You can go online and find plenty of craft ideas and coloring pages. YouTube is full of classical music performances for virtually every composer. You can find many different types of songs to help your child’s memory recall of lessons they may be struggling with. If you want to supplement your homeschooling experience try some of these websites. There are groups available to help with homeschooling and offer support. Homeschool Legal Defense Association has a directory of the groups in your the United States by state and county. There are groups that offer extra classes, 4H groups, or sports teams. You could also start your own group should you feel so inclined. You could offer to teach a subject you are strong in, such as science or literature, while another parent may teach math. One year I set up a Lego club for boys to help my son meet boys his own age. Another mom set up a reading club for boys. They had a monthly reading assignment (the boys voted on the next month’s book at each meeting), chatted about the book for 30 minutes or so, and then the boys spent the rest of the time in the backyard playing. It was a great experience. Field trips and getting outside! Homeschooling doesn’t mean hunkering down at home with your children and a bunch of books (although if that’s what you want, I’m sure you could). It also means that there can be more field trips. Go to national parks for classes in biology. Visit a rock climbing studio for physical education. Visit museums, beaches, art galleries, aquariums, and zoos. Many local attractions are either free or very inexpensive. It allows your classes to be creative and gives your child a chance to see the education given to them has real world application. There is an astonishing number of activities geared to homeschoolers and some museums, science centers, and the like even offer daytime classes, specifically for them. You may want your child to have the experience of being homeschooled but are uncertain about getting started. You may doubt if you have the time or the knowledge to make curriculum choices or doubt your teaching abilities. That’s okay. There is an option for those that fall into this category but would still like to have their child be educated in their own home. Consider an online public school. Your child will be able to connect to a teacher online and they will plan the curriculum. Your job will be to keep your child on track with their lesson plan and introduce supplement activities or outings as you see fit. Calvert Virtual Schools — Will be aligned with Common Core. If you’re looking for a specific class, join this Facebook group where dozens of online teachers and websites post their schedules. K12 online school — Lisa’s note: I DO NOT recommend this program. When I contacted them via online chat, I was steered toward the “tuition-free” option. I asked where the funding came from and the agent admitted that they are paid for each student enrolled in the public school option, which is Common Core aligned. Other than the child being at home, there is virtually no advantage to this program. The agent told me that their private programs are different because they don’t have to follow the curriculum of states. When I asked where I could find the funding information on the K12 site, my online chat was suddenly disconnected. The downside to online public school is that all curriculum choices will be out of your hands, as will assignments and accountability. Most homeschoolers enjoy shorter school days but online public schools may require a minimum number of “seat” hours per day. As well, it will almost surely be aligned with Common Core — a controversial curriculum, at best. Homeschool Legal Defense Association — This group is Christian but will defend all homeschoolers against illegal harassment regardless of their faith. 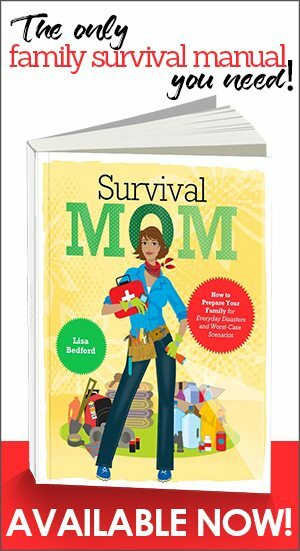 Homeschooling advice from The Survival Mom — A collection of articles that have appeared on this blog. Dumbing Us Down by John Taylor Gatto — A classic, written by an award-winning public school teacher. Teach Your Own by John Holt — A classic written by a pioneering homeschool dad. 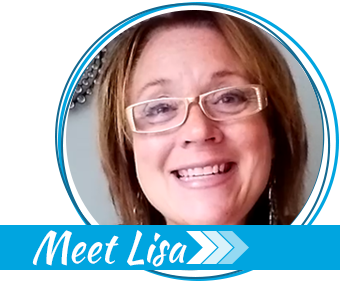 UPDATED August 18, 2018 by Lisa Bedford. 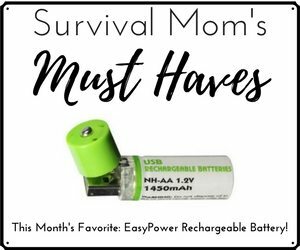 Another great free resource is HomeschoolGiveaways.com. They have oodles of links to great free resources that I have used for my Kindergartener and preschool children as well as the 5th-grade student I am tutoring in Ancient History. I am homeschooling my granddaughter, first year. We purchased the Calvert curriculum and were not happy when we began to notice the agenda-based slant that is associated with the Federal social engineering nonsense. The Social Studies book used by Calver is the worst offender — it is published by Preston. We have done more research and have learned that Calvert is actually aligned with Common Core. Calvert does not note this, nor will they admit they are aligned with Common Core standards. One of the Calvert publishers, Preston, is heavily involved in the development and business affairs of the Common Core curriculum. We are NOT using the Calvert curriculum next year. Even the math (in Grade 3) is filled with concepts and alternate processes to learn and retain basic multiplication and division facts. My suggestion for beginners is to request the publisher names of any and all textbooks required for any curriculum. Then begin researching — online searches of publishers and common core words are a good start, then go from there. Lynn, thank you so much for letting me know about Calvert. That’s the same reason I never recommend the public school/homeschool option. If parents object to at least some of the content that is taught in public schools, they’ll end up with the exact same material, except now they’ll be teaching it at home themselves. Of course they can present their own and opposing viewpoints, which is better than nothing. Another legal entity that supports you in home schooling is National Center for Life and Liberty Home school center. They are $50/year at http://www.ncll.org and will support you against harrassment in homeschooling also. They are excellent! Note – comments for schooled parents are included. I failed at many things as a homeschool mom, but my children all learned to think and that is worth everything. Due to family medical issues math was lax for some, but they just work a bit more and took a remedial class if they wanted to go to college. I have everything from an engineer and a professional pilot to entrepreneurs and one who keeps a low wage job because the travel benefits are fantastic and that one loves to travel more than anything. But that is a choice made because they know how to think, not because there don’t seem to be any choices. I credit homeschooling with a lot of that because I was there to ask “why” something happened or “what might come next” or “can you explain this to me” instead of seeing them for a few minutes in the evenings. As a mother there are many things I wish had done differently, but homeschooling is not one. If your children are in school + you don’t feel you can or want to make changes, then engage them all the time – get their sweet little faces out of their phones and make them carry on thoughtful conversations. Ask what they think about current affairs and listen. Don’t tell them what you think before you ask what they think. Don’t disrespect their opinions. If you’re a hunter + your child wants to be a vegetarian, talk about how that will work. And the same if you’re the vegetarian. I know there are certain things that aren’t allowed and parents are in charge, but discussions can be wonderful ways to prepare your children. All the food or first aid in the world won’t help if your child can’t think. How can parents (I’m a single parent) work and home school at the same time?? I HAVE to do BOTH! I’m trying to think of some creative ways to handle both responsibilities. Do you have any ideas? Who does your childcare? I’d start by divvying up school subjects between what you’ll teach when you’re at home and what will be taught by whoever watches your kids while you’re at work. Homeschool is NOT “school at home”, so don’t be lured into thinking it’s all about textbooks, workbooks, loads of “homework”, and just a continuation of the drudgery found at government public schools. It’s much more about individualized instruction, creativity,family bonding, learning to love learning again, exploring lots of subjects, spending time in nature, etc. Some parents can take their kids to work, work from home, utilize the help of grandparents and other relatives, etc. Just be sure they understand your concept of what you want your homeschool to be and will be supportive of that. I also have a waitress and a lab tech and live in a “trashy trailer” but I obviously think training children is more important than a big house. But they run their own lives and do what they want to do. My husband (one of the smartest persons I’ve ever met) thinks college is overrated and dropped out. It all depends on goals – and that is part of thinking. Great tips! We just graduated our oldest daughter from our homeschool. Absolutely the best option for us. Please feel free to delete if not appropriate, but I have written and illustrated a little children’s book on what a week in the life of a homeschooling family looks like (for some!) My Favorite Day to Homeschool by Maggie Alvarez. It is what I WISHED existed when I began homeschooling all those years ago, and I hope it will be helpful to many families. It is available on Amazon.